Aussie sprinting star Black Caviar ran 15 pounds below her official rating in Australia – the equivalent of five lengths in a sprint – when narrowly winning the six-furlong Diamond Jubilee Stakes, the last of seven QIPCO British Champions Series races run at Royal Ascot. With the first of this season’s two year old Group races completed at Royal Ascot last week, there are already a number of juvenile colts who have caught the eye of racing fans and bookmakers alike as potential Classic contenders for next season. Black Caviar lived up to all the hype as she won the Diamond Jubilee Stakes at Royal Ascot, but it was a desperately close call. Frankel turned in another spellbinding performance to maintain his unbeaten record in the Queen Anne Stakes, the opening contest of Royal Ascot. Irish eyes were smiling in the Wokingham Stakes at Royal Ascot when Dandy Boy scooted clear for trainer David Marnane. 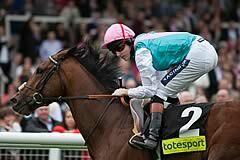 Sea Moon ran out a hugely impressive winner of the Hardwicke Stakes at Royal Ascot. The three-year-old filly Estimate, five-length winner of the two-mile Queen’s Vase, gave The Queen her 21st Royal Ascot success, a sequence started in her Coronation year, 1953, by Choir Boy in the Royal Hunt Cup. Fallen For You led home stable companion Starscope to give John Gosden a one-two in the Coronation Stakes at Royal Ascot. Henry Cecil's Thomas Chippendale came home strongest to beat stable companion Noble Mission in the King Edward VII Stakes. Newfangled made every yard of the running to win the Albany Stakes by two and a half lengths. Colour Vision held off fellow Godolphin runner Opinion Poll to take top honours in the Gold Cup at Royal Ascot under Frankie Dettori. Princess Highway emulated her dam Irresistible Jewel as she powered to victory in the Ribblesdale Stakes at Royal Ascot. Reckless Abandon overcame clear signs of inexperience to record his second victory from as many starts in the Norfolk Stakes at Royal Ascot. Aidan O'Brien's So You Think recorded his 10th Group One victory in the 150th Anniversary of Prince of Wales's Stakes at Royal Ascot. Tom Dascombe's York heroine Ceiling Kitty showed a sparkling turn of foot to win the Queen Mary Stakes at Royal Ascot. Joviality held off the late lunge of Chachamaidee to get John Gosden off the mark for Royal Ascot 2012 in the Windsor Forest Stakes. Prince Of Johanne landed his second major handicap when taking the Royal Hunt Cup at Ascot. Most Improved held on under a strong ride from Keiren Fallon to win the St James's Palace Stakes for trainer Brian Meehan. Dawn Approach lived up to his tall reputation with a hard-fought victory in the Coventry Stakes at Royal Ascot. Little Bridge struck for Hong Kong in a furiously run King's Stand Stakes at Royal Ascot. There are four so called good things in the shape of Frankel, So You Think, Fame and Glory and Black Caviar and for many those four horses provide the golden ticket to a profitable Ascot. Seven QIPCO British Champions Series races will be run at the Royal Meeting, including a scintillating trio on the opening day, with Aidan O’Brien and Joseph O’Brien looking well on course to extend their leads in the Trainer and Jockey of the Series tables. Trainer Paul Messara admits there is a chance that the mare Ortensia could line up in both the King's Stand Stakes on Tuesday and the Diamond Jubilee Stakes four days later. Black Caviar, the unbeaten Australian sprinting sensation, exercised in Newmarket yesterday morning, Thursday, June 14, during a Royal Ascot media morning ahead of racing in the Group One Diamond Jubilee Stakes over six furlongs on Saturday, June 23. The Group Two Coventry Stakes over 6 furlongs has not always been a great yardstick for producing top class juveniles but down the years. Bahrain-based owner-trainer Fawzi Nass is keeping an anxious eye on the weather as he targets Krypton Factor at the Diamond Jubilee Stakes on Saturday June 23. Hong Kong based Little Bridge heads to Ascot for the King's Stand Stakes, on the back of two victories for trainer Danny Shum. Derek Cruz is hopeful that nine-year-old Joy And Fun can fly the flag for Hong Kong in Tuesday's King's Stand Stakes at Royal Ascot although the trainer admits the recent rain could prove a concern. Frankel is the red-hot favourite at 1/5 with Betfred for the Queen Anne Stakes at Royal Ascot after a total of 12 horses were left in the race at the latest forfeit stage. Coral has slashed Cristoforo Colombo to 7-2 favourite (from 6-1) for next week's Coventry Stakes, after the Aidan O'Brien-trained colt was the subject of a sustained gamble for the 6f contest. The Australian mare arrived in England ahead of an attempt to record a 22nd consecutive career win in the Group 1 Diamond Jubilee Stakes at Ascot on June 23. Famous names from the world of sport and entertainment will join members of the Royal Family and racing fraternity in presenting trophies to winning owners during Royal Ascot 2012. Black Caviar, trained by Peter Moody in Australia, is due to come to Britain in early June and run at Royal Ascot (June 19 to 23). Black Caviar (Peter Moody), with the Diamond Jubilee Stakes her most likely target, headlines entries from 11 countries for Royal Ascot’s Group One races. Ascot Racecourse is delighted to announce that The Golden Jubilee Stakes has been renamed The Diamond Jubilee Stakes to mark this important milestone in Her Majesty The Queen’s reign. Guide to the World famous Royal Ascot meeting. Run annually in June, this five day meeting features seven Group One flat races including King Stand's Stakes, Prince of Wales's Stakes, Ascot Gold Cup and St James's Palace stakes. Visit this site for latest odds on all races as well as form, trends, results and bookmakers free bets on the meeting. Ascot Racecourse, founded in 1711 is the worlds most famous racecourse. The very best Flat racing takes place at Ascot between March and October, with the main highlight undoubtedly being the internationally renowned Royal Ascot in June. The five-day meeting is a perfect opportunity to experience the unique atmosphere of Royal Ascot, particularly for those who may not have been able to attend before. The Royal Ascot Betting Guide provides a comprehensive overview of England's most prestigious flat racing meeting. Run over five days at Ascot Racecourse in Berkshire the event is not only regarded as one of the top horse racing events in the horse racing calendar but is also considered an important social and fashion event. The guide provides the latest news, information on the events history, results, venue, races and Royal Ascot betting tips and live betting odds.